One of the weirder features of the p.o.’s kitchen renovation is the sink, which juts out at an angle. I’ve never understood the purpose of this. 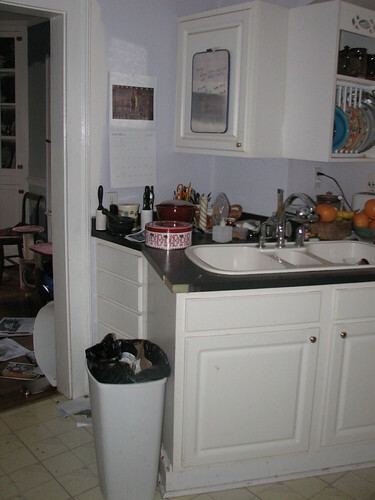 It creates a lot of dead space behind the sink and makes a narrow galley kitchen even narrower.